Yahoo’s mobile analytics and ad platform, Flurry, has released its annual State of Mobile report, which saw overall app usage grow by 76 percent in 2014. While games may be constant applications on our mobile devices, games actually experienced the least growth in 2014. Instead, the lifestyle and shopping, productivity and messaging app categories led the pack with triple-digit growth in 2014, as consumers continue to use their phones for as many activities as they can in their daily lives. Lifestyle and shopping apps grew by 174 percent on iOS and Android last year. It’s worth noting this category contains more than standalone shopping apps, when looking at iOS figures. On Android, the shopping category itself increased by 220 percent. Meanwhile, productivity and messaging apps grew by 121 and 103 percent in 2014, respectively. This isn’t to say games didn’t grow in 2014, as games grew by 30 percent last year (down from 61 percent growth in 2013). The growth of music and entertainment apps has also slowed, from 79 percent in 2013 to 33 percent last year. “This double-digit growth is impressive in any context, but we are witnessing a shift where the growth in mobile has moved from apps for entertainment to apps that help us accomplish our daily tasks,” wrote Simon Khalaf, president and CEO of Flurry, in a blog post. 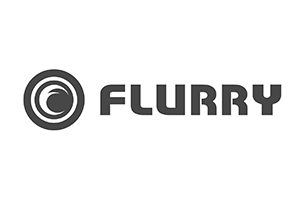 Flurry defines “app usage” as a user opening an app and engaging in what it calls a “session.” Flurry Analytics tracked 2.079 trillion of these sessions in total in 2014, with December 31 breaking a daily session record with 8.5 billion sessions on the last day of the year. The company’s full report is available here.